Respecting the writer’s voice. I put a lot of thought into creating the right tagline for my editing business, The Meticulous Type. I wanted it to convey my utmost respect for the writer’s voice and my assurance that it would be foremost in my thoughts when I edited an author’s work. I wanted writers to know that they could trust me. Working with fiction writers, who create a myriad of characters who must speak to the reader in their own unique voices, I appreciate how critical it is for me to exercise editorial restraint to avoid inadvertently injecting my voice into the book. As a new student at the University of Washington’s editing certificate program, I was eager to take on a piece of writing and transform it into something grammatically correct, punctuation perfect, and well written. One of my first assignments was to edit a blog written by a free-spirited, self-professed New Age practitioner. Holy moly, the text wandered all over the place, was chock-full of sentence fragments, used minimal punctuation, and was adrift in amorphous thoughts. I could hardly wait to jump in and impose order upon what I perceived as chaos. I cleaned everything up neat and tidy, sure that I had provided the blogger with first-class editing service. So, you can imagine my dismay when I read my teacher’s comment on the top of my edited paper: “Your disdain for the author is showing.” I was mortified. Here I thought I had been helpful when, in fact, I had completely replaced the tone of the blog writer’s post for one that I thought deemed more appropriate. I immediately recognized the wisdom of my teacher’s comment and vowed to never make that mistake again. No matter what I thought of the content, I would show future clients the respect their writing deserved. 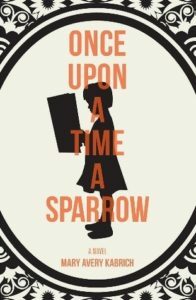 Several years later, I was given the opportunity to edit a lovely manuscript called Once Upon a Time a Sparrow written by Mary Avery Kabrich. The protagonist in Ms. Kabrich’s novel was Mary, a school psychologist struggling with the recent death of her mother. After a number of emotional outbursts directed toward her colleagues, who recommended that children with learning disabilities be held back a grade, Mary agrees to see a therapist. During these sessions, we discover that Mary grew up with an undiagnosed case of dyslexia, which delayed her learning to read until the sixth grade. The childhood trauma Maddie experienced clearly continued to haunt adult Mary. The chapters in the book alternate between the current-day Mary and Maddie, as she was called as a child, each speaking in the first person. Ms. Kabrich was concerned that an edit of her work would change the child’s voice. In fact, she was so worried about this issue that she asked me to edit a sample chapter written from the child’s perspective. I happily did so, keeping in mind my teacher’s advice that I respect the writer’s, or in this case the character’s, voice. 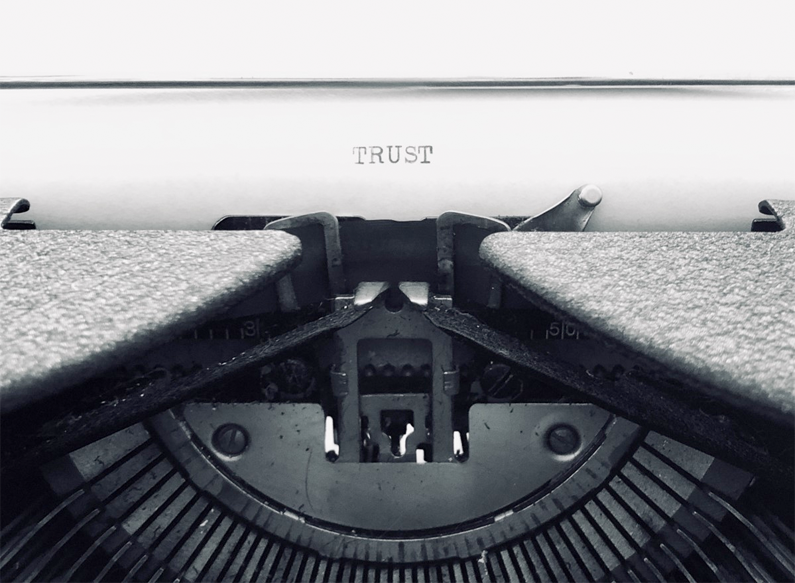 The foundation of the author-editor relationship is trust. When an author turns over their work, which they often have spent countless hours writing and rewriting, they trust that the editor will treat it with respect and care. This is no small thing. Many times, I never meet the writer I’m editing for in person, so it is a leap of faith when a client turns their work over to me. I am honored to be entrusted with their written work, their “baby” as it were, and I strive to stay true to the writer’s voice. My goal is that when I return their baby to them, the writer will see that the baby still looks, sounds, and feels the same and is ready to meet its intended reader. Ms. Kabrich’s book has won a number of awards, including: Readers Views, Literary Awards, Winner First Place General Fiction/Novel; Nautilus Book Award, Winner Silver Award; and the Jewel Kats Special Needs Award. In addition, her book was a finalist in the USA Best Book Awards, General Fiction; National Indie Excellence Awards; and International Book Awards, General Fiction. She received an Honorable Distinction from the International Novel Competition, A Woman’s Write. Visit Ms. Kabrich’s website for more details. Casey, what a wonderful story! I love reading about lessons learned, and your lesson about respecting the writer’s voice is powerful. It sounds as though you had an excellent teacher. I also enjoyed learning about your experience with the author of “Once Upon a Time a Sparrow.” No doubt your excellent editing contributed to the success of the novel. Thank you, Lynn! I did indeed have wonderful teachers at the UW editing program, and I learned so much as they guided me through the editing process. And I heartily recommend Ms. Kabrich’s novel. It is a touching story of overcoming childhood traumas that haunt us into our adulthood. I was privileged to work with this talented author. Thank you for sharing this. At the time, I had no idea you were relatively new to editing. I just knew that you were indeed meticulous. I am in awe over what a good editor can do. I am so happy to have received your help. Thank you, Mary! I am so pleased to have been given the opportunity to work with you on your book.